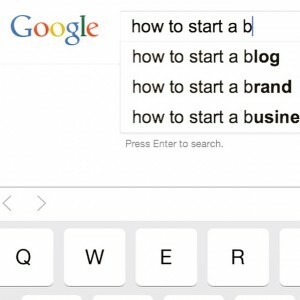 I must admit, there was a certain sense of chagrin that accompanied typing the words “how to start a blog” into google. Yep. This is happening. No more arm chair commentary about how one day I’ll start a blog. I’m doing it. And where would I be without google? Penning “dear diary” into a $2 reporters notebook from Woolworths, apparently. With a background in communications (intranet specialist no less – aren’t I supposed to know about this technology palaver? ), marketing and a brief (and soul destroying) stint in PR, there’s a certain sense of failure that comes with not even knowing how to start an online blog without resorting to a ‘blogging for dummies’ how-to guide. I mean, 9 year olds do this. But I swallowed what was left of my dwindling pride, and here I am. Hello internetters. Introductory posts are the hardest, I think. So I’ll keep it brief. This may be the last time that happens though, as keeping things brief is not my forte. So lap it up. I’m 32. Ok, well. I’m almost 33. Six months ago I was convinced I was still only 31 though, until my well meaning husband of five years disabused me of this notion and reminded me of my actual age. I’m mum to three magical little people, who, for the purposes of this blog, will (for now) be known only as eenie, meenie and miney. Eenie and meenie, my three year old, boy girl twins; my biggest challenge but also my greatest triumph to date. And little miney, my 4.5 month old baby girl who is teaching us daily that, much to our surprise, we actually might be able to pull this parenting three children gig off! Who knew? Certainly not me when I’d wake up in a cold sweat in the middle of the night, amid my pregnancy, freaking out about how on earth I’d cope with three children. Kudos to miney, for entering this world and being absolutely divine ever since. Here in my little cosy corner of the internet, there may be brief appearances by our ever challenging, sock stealing, lawn ruining, Easter egg eating, wonder dog; mentions of my irrepressibly likeable, good at everything (to the point of tedium) husband, aka the love of my life; and other characters in our journey along the way that I can’t think of right now. A note on this blog. Who is this chick? What am I doing here? What’s this blog thing all about? Questions I don’t yet have answers for. As a humble beginning, this is just a little place for me to share the things I like, that the kids get a kick out of, that we as a family are into. Random thoughts, pretty things, funny things I see out and about. My crazy, quirky little mind knows no bounds.